When Arne Jacobsen first embarked on the concept of the renown Egg Chair, he was in his garage at home, trying to come up with a unique chair design for the Radisson SAS hotel in Copenhagen, Denmark. Although it was designed in 1958, it is noted for its futuristic, space-age appearance. 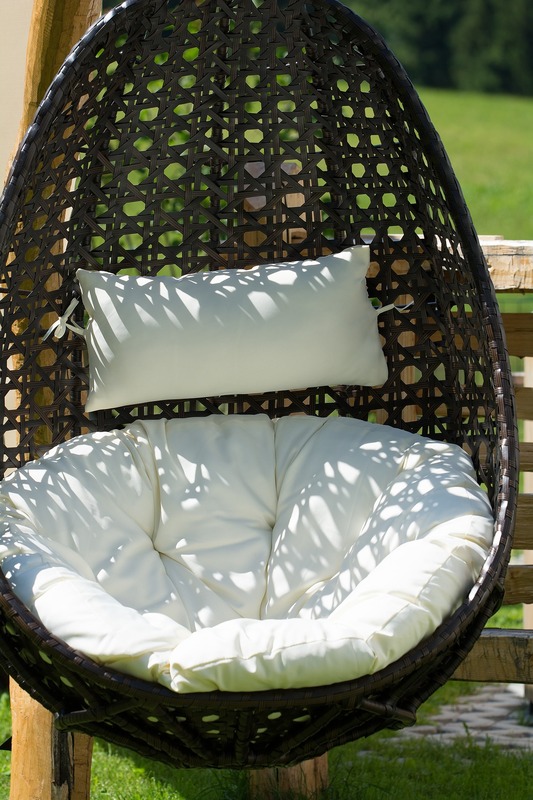 To date, the Egg Chair is a trademark of modern decor. The design for Jacbosen’s Egg Chair was thought to be inspired by Eero Saarinen’s Womb Chair, designed in the late 1940s. It started off resembling a wing-back chair, with the curvature of an egg but the backing of a traditional arm chair. Following its distribution to the hotel, a few special editions were manufactured and sold for $60,000 each, skyrocketing Jacobsen to fame. However, the legacy of Jacobsen’s Egg Chair didn’t end there. Ten years after the release of the Egg Chair, in 1968, Henrik Thor-Larsen released his own version of the design. 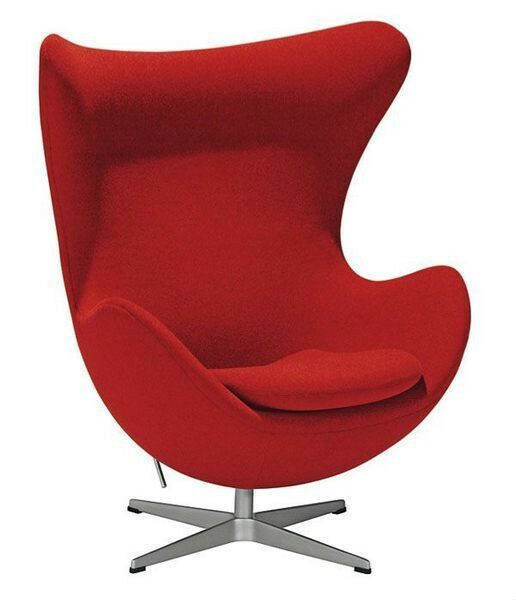 Thor-Larsen’s design was known as the Ovalia Egg Chair, and was a more literal aesthetic representation of an egg. The shell-shaped chair became a pop-culture icon, featured in everything from space-age movies to groovy 70s film sets. This version of the Egg Chair was featured prominently in the Men in Black movies. While its practicality was questionable, its unique look helped it make its claim to fame. This version of the egg chair has oft been redesigned in wicker as hanging patio furniture, which continues to be a frequent modern-day use of the chair. In 2008, fifty years after the release of the original Egg Chair, the Fritz Hansen Company decided to commemorate the design with a limited edition variation. They released 999 Egg Chairs made of suede and leather, featuring a two-toned brown finish. They included a bronze base and came with an informational book recounting the history of the Egg Chair and its designer, Arne Jacobsen. When it comes to Danish modern furniture, there’s no doubt the Egg Chair is a staple of the style. Its timeless and minimalistic look makes it a cross-generational favorite for comfort and aesthetics. It is compact, space-saving, and versatile in its appearance (from wicker patio furniture to luxury leather). While it no longer costs $60,000 to purchase, its avant-garde history and presence is priceless. Today, Egg Chairs can be found everywhere – from modernly decorated homes in Beverly Hills to a high-concept redesigned McDonald’s in London. The Egg Chair is also available from us here at Bauhaus2YourHouse in an endless variety of colors and Kvadrat Danish fabrics.